All medical forms should be directed to the Secretaries. A fee is payable for the completion of some forms, as these are not covered by the NHS. We charge the nationally recommended fees where applicable. We will be able to give more details about individual requests. The National Health Service provides most health care to most people free of charge, but there are exceptions: Prescription charges have existed since 1951, and there are a number of other services for which fees are charged. Sometimes the charge is made to cover some of the cost of treatment, for example, dental fees. In other cases it is because the service is not covered by the NHS, for example, medical reports for insurance companies, claim forms for referral for private care and other letters and forms which require the doctor to review the patient's medical records. Surely the doctor is being paid anyway? It is important to understand that GPs are not employed by the NHS. They are self-employed, and they have to cover their costs - staff, buildings, heating, lighting etc - in the same way as any small business. The NHS pays the doctor for specific NHS work, but for non-NHS work the fee has to cover the doctor's costs. 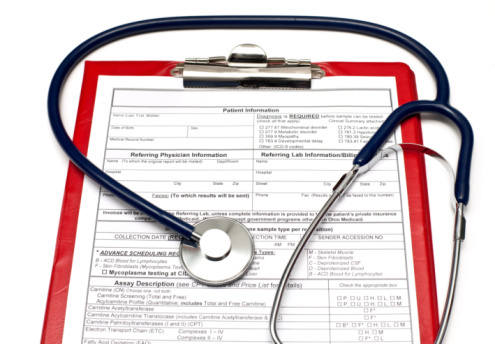 When a doctor signs a certificate or completes a report, it is a condition of remaining on the Medical Register that they only sign what they know to be true. Therefore, in order to complete even the simplest of forms, the doctor needs to check the patient's entire medical record. Carelessness or an inaccurate report can have serious consequences for the doctor, with the General Medical Council or even the Police. What will I be charged? The BMA recommends that GPs tell patients in advance if they will be charged, and how much. It is up to the individual practice to decide how much to charge, but the BMA produces lists of suggested fees for the Doctors to use as a guideline. What are the charges at Overton Park? Not all documents need signature by a doctor. For example, you could ask another person in a position of trust, who may be willing to sign a passport application free of charge. (Teacher, Accountant, etc) You can complete the form to the best of your ability in pencil, so the doctor just has to quickly verify your entries against the information we hold. Do not expect your GP to process forms overnight, urgent requests may mean that a doctor has to make special arrangements to process the form quickly, and this will cost more.